Manart was originally formed in the early 1900s by two brothers, Manuel and Arthur, from which the name MANART came into being. The company converted and distributed all types of fabrics for the marine, awning and industrial trades. During World War II, Manart was one of the largest suppliers of cotton duck to the United States government. During and after the war, Manart supplied wind sails to most of the American oil companies for their oil tankers. These sails were fastened to the masts of tankers, tunneling fresh air down into the tanker’s hold clearing out deadly fumes and preventing explosions. Of course this was before the advent of today’s super tankers which are properly ventilated. Our chairman, Edwin R. Hirsch, joined the firm as a salesman in 1950, adding many new items for the marine trade including hardware, fasteners, zippers, etc., to already existing lines. In 1970, after the two partners had passed away, Mr. Hirsch, who had become President of the firm, added his name to the company and formed Manart-Hirsch Company, Inc. A short time later, Mr. Hirsch’s two sons, Ronald and Richard, joined the firm. And now, Richard’s sons Geoffrey and Jeremy have become an integral part of day-to-day operations. 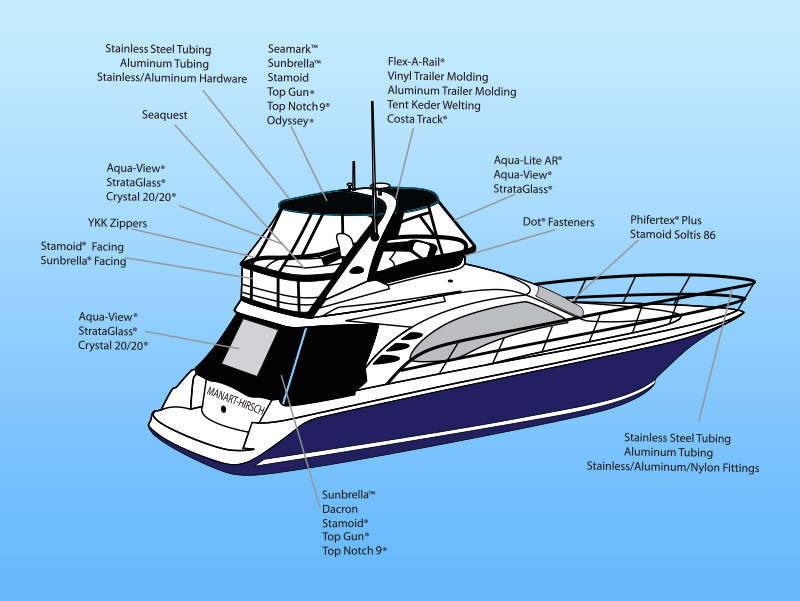 Over the years we have become master distributors of such items as Stainless Steel boat top hardware, adjustable mooring poles, marine and awning keder welting and numerous other marine products. 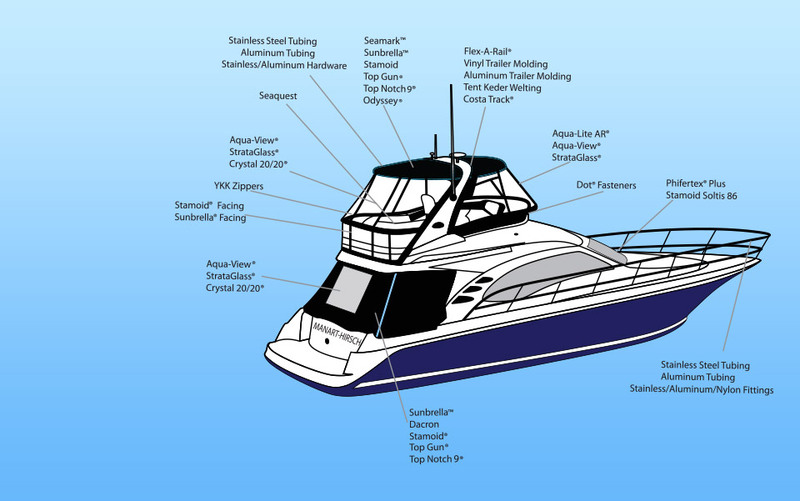 We also convert our own Aqua-View® brand 54” x 110” press polished flexible vinyl sheets for boat windows, Acrybind® acrylic binding, boat duck, Mermaid® dacron cover cloth, Rayntyte® poly/cotton marine fabric, etc. This helps us to control our quality and to keep our pricing at the lowest possible level for each particular product. Glen Raven Mills, Scovill Fasteners, YKK®, Marlen Textiles, Herculite® Products, Stimpson®, Serge Ferrari, Haartz® Corporation, Strataglass™ and W.L. Gore are just a few of the many major companies whose quality brands we distribute. We are very proud that Manart-Hirsch ranks as one of the nation’s leading distributors to the marine canvas manufacturing trade serving not only the United States but Canada, South America and Europe as well. Whether you are a two-person shop or a production manufacturer, you can rest assured of competitive pricing on all products and service that only a family-run organization can deliver. A family member is always available to personally take care of problems or answer any technical questions one may ask. We are happy to present this new edition of our catalog to you and we hope it helps you with your continued success. 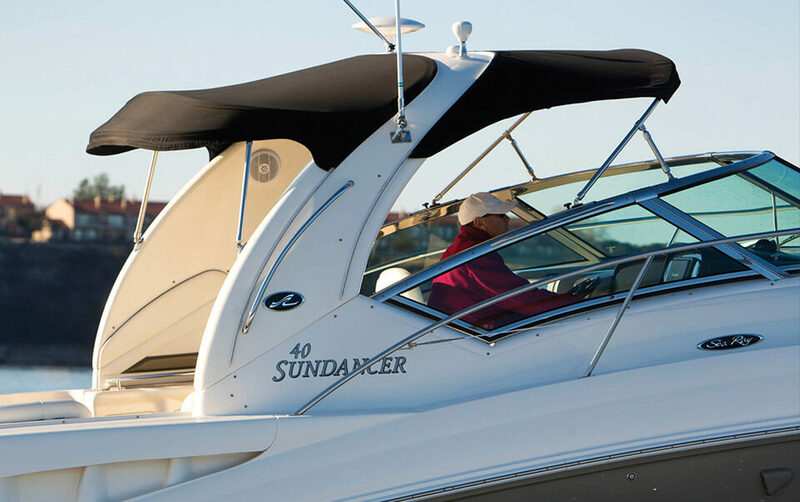 We thank you for selecting Manart-Hirsch as one of your marine and awning suppliers.